The University of Victoria's Ocean Networks Canada (ONC) Observatory—made up of the NEPTUNE Canada regional network and the VENUS coastal network—is the world’s largest and most advanced cabled ocean observatory. Through fibre-optic cable, seafloor nodes and innovative scientific instruments, the observatory is changing the way we study the oceans, providing scientific evidence for policymakers on a wide range of critical issues, and developing new world-leading technologies. Japan’s powerful earthquake in March 2011 registered across the Pacific on NEPTUNE Canada’s bottom seismometers. The devastating tsunami that followed was detected by precision rapid-sampling bottom pressure recorders, designed and built in BC. As coastal environmental issues escalate in BC and around the world, so does the need for smart, sophisticated monitoring and science-based policy. NEPTUNE Canada’s 800-kilometre cabled network includes offshore sensors that detect approaching earthquakes and tsunamis, providing earlier warnings—essential information for residents and emergency organizations. Deep sounds: are we making too much noise in the ocean? BC’s coastal waters, which include some of the busiest shipping lanes in North America, also host endangered orca whale populations that use vocalizations and sound pulses for communication and foraging. 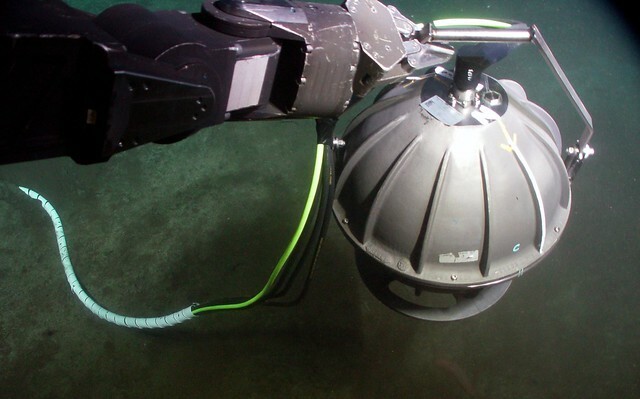 Hydrophones connected to the VENUS network capture undersea sounds generated by sources including wind, waves, geophysical processes, seafloor movements, ship engine noise and orca vocalizations. Researchers using the VENUS network are monitoring orca sound profiles and their response to natural and artificial underwater sounds, which will assist in the development of new management strategies for protecting this iconic species. Bubbles from the sea floor: a threat or a promise? 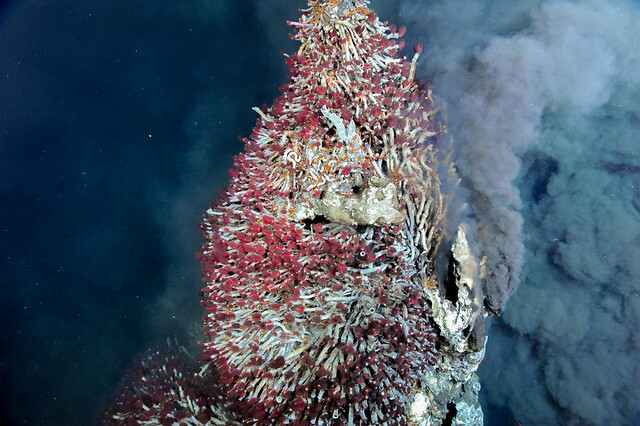 The methane contained in offshore gas hydrates is both a potential source of energy and a powerful greenhouse gas that may play an important role in climate change. NEPTUNE Canada instruments are monitoring environmental factors that can destabilize gas hydrates, releasing methane into the ocean-atmosphere system. 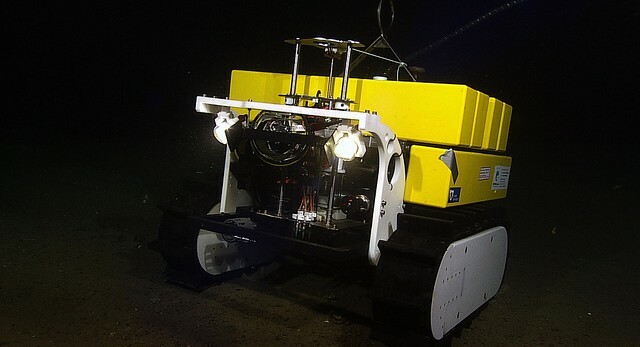 Wally, an undersea tracked vehicle and mobile instrument platform, conducts daily patrols in a deep-sea gas hydrate field off Vancouver Island, piloted over the internet by researchers in Bremen, Germany—8,000 kilometres away. Hot, deep, dark and alive! life on Earth, and on other worlds. Located off the coast of British Columbia, the ONC Observatory streams live data 24/7 to scientists, policy-makers and the public around the world. It supports studies on ocean change, growing dead zones, fish abundance, acoustic pollution, plate tectonics and tsunamis, geochemistry of the ocean crust, deep-sea ecosystems, and ocean engineering. The observatory is a national facility supported through funding from the Governments of Canada and British Columbia. The University of Victoria’s Ocean Networks Canada (ONC) Observatory—made up of the NEPTUNE Canada regional network and the VENUS coastal network—is the world’s largest and most advanced cabled ocean observatory. Through fibre-optic cable, seafloor nodes and innovative scientific instruments, the observatory is changing the way we study the oceans, providing scientific evidence for policymakers on a wide range of critical issues, and developing new world-leading technologies.